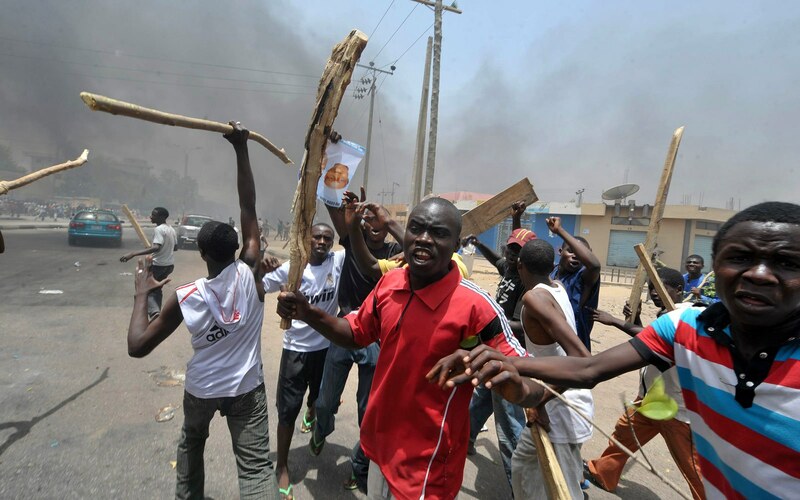 BREAKING: FULANI TRIBE IN NIGERIA, CALLS FOR WAR! Danjuma's Rage: Buhari should declare state of emergency Now. President On behalf of the Fulank Nationality Movement, (FUNAM) we express our RESOLUTION as adopted today on the state of the nation. ( 1) We observe with great concern the continuos demonisation of the Fulani people by some reclacitrant ethnic groups in Nigeria. We see the outburts of General Theophilus Danjuma who was brought up and fed by the Fulani, as an extension of the hate against the Fulani people. ( 2)We call on the President, Mohammadu Buhari to declare a state of emergency in Nigeria. This follows the obvious threats against the Federal Government as demonstrated further late last week when former Chief of Army Staff, Theophilus Danjuma called on Nigerians to take up arms against a constituted authority led by a Fulani President President Buhari has the legal right to act now before it is too late. (3) The statement of Gen Danjuma is nothing but a direct call for arms. He is fuelling anger and rage against the President for nothing other than that the President is a Fulani man. 3) We urge President Buhari to see this as a direct assault on Nigeria as a sovereign state and an assualt on the Fulani people all over the world. The Fulani do not contend the economic power with Southerners and their new found allies in the Middle Belt. What we reject is the plot to estaminate the Fulani from the economic front and then made to be subservient on the political field. Nigeria is the only country in the world where we are in control of the political machinery. To give up this country will amount to betrayal of Fulani all over the world. It will amount to humiliation; it will amount to suicide. Negotiating political power with those who have no honour and culture is a weakness. We should rise and assert ourselves. The time is today; tomorrow may be too late. ( 6) General Buhari has failed to produce the firm leadership required. Retaining military hardwares in the Middle Belt pose threat to national stability. We say again that it is time to move all the military hardwares from enemy territories of the Middle Belt. The time for half measure is not now. Fulani all over are being killed and massacred. In Mambilla, over 1000 Fulani were killed in cold blood. Our movement is being restricted, yet we are Nigerians who do not and have never restricted the movement of anyone.